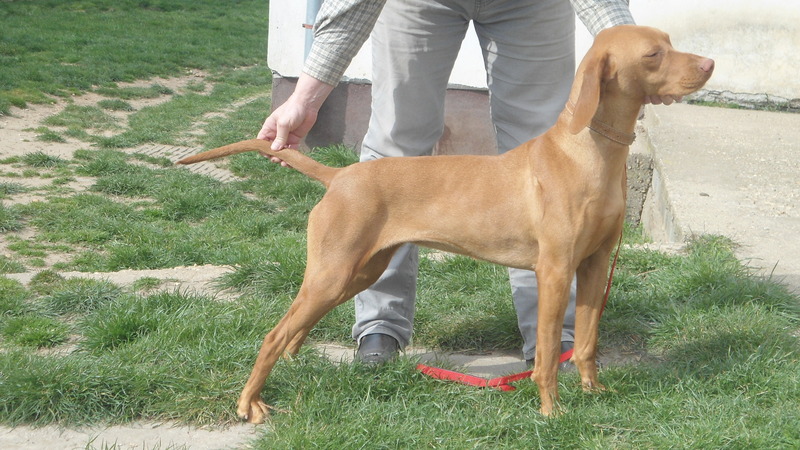 We are proud to announce the addition of 2 year old, Vadaszfai Unnep to our kennel, joining Vadaszfai Citera and her daughter Country of Origin Andorra, “Anika”. “Pici” (pronounced pizzi) means ‘little one’ in Hungarian! Pici has earned a European CH title and most importantly, a Hungarian hunting title by passing her VAV Basic hunting exam with a maximum score. (for an explanation of VAV examination rules please refer to http://katavizs.com/vav_eng.htm) Pici’s Hungarian hip certification score is HD-A, thus qualifying her for breeding rights in Hungary as well as in the USA. Official OFA hip certification is pending. She is a fully trained hunting dog and has the most sweet, calm, loving personality. She has been a wonderful addition to our kennel family! Country of Origin Vizsla kennel is planning two litters in 2016.